Trying to find the best whey protein powder often feels like more effort than pushing out that final repetition. I know you are in complete agreement. It’s no secret that whey protein is an invaluable way of achieving the optimum amount of protein to build muscle and promote fat loss. With so many different forms and brands available, you could find yourself choosing a powder that will not yield the results you expected. But, that problem is about to end. 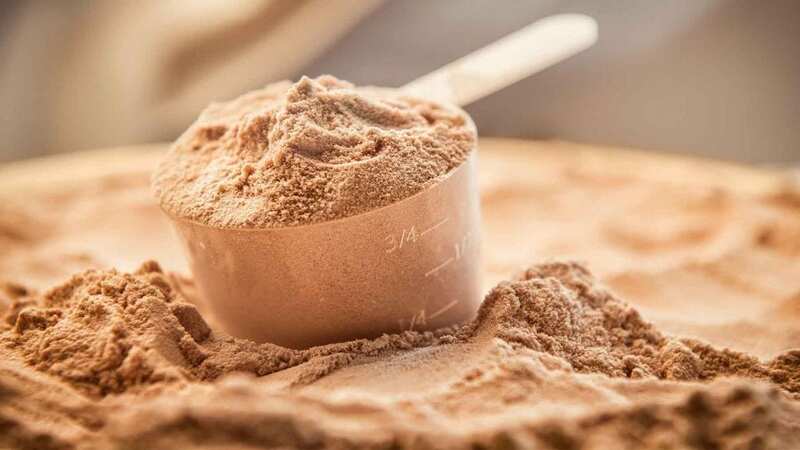 This Best Whey Protein Powder article will explain which powders are the leaders for achieving muscle gain and fat loss. Backed with scientific research, we will describe how they work and their different forms. When it comes to the best whey protein available, this supplement has to be at number one. With its 100 percent isolate content, this pure powder is the answer to muscle gain and fat loss. A potent supplement that stands above the rest. Truly the best protein powder. 100 percent whey protein isolate—simply the best form. Designed by SAS professionals who know the importance of results. Ultra-low lactose formulation—easy to digest. Sourced from antibiotic and hormone free dairy herds. Less than one percent fat—ideal for cutting. Currently only available in chocolate flavor. This whey protein powder can only be purchased from the official Battle Ready Fuel website. Sourced from 100 percent grass-fed USA-based cattle, this isolate formulation is a good choice for people who consider provenance and ethics to be of paramount importance. 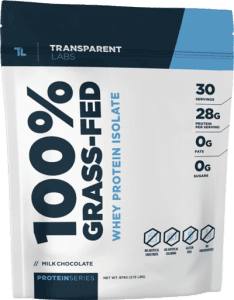 Transparent Labs have ensured this potent protein supplement comes from herds which have not been subjected to hormones, steroids or other synthetics. Previously it was considered the best whey protein 2017, but since that time has been beaten by Battle Ready Fuel. Contains only whey protein isolate for maximum muscle benefits. Ethically sourced with non-GMO ingredients. Has a zero-fat content—great for cutting. Includes potassium and calcium for a healthy bone and immune system. Free from gluten, synthetic sweeteners, preservatives, and dyes. Supplied in a resealable foil pack to ensure freshness and strength. 28 grams of protein per 32g serving—a larger serving than Battle Ready Fuel for the same protein load. This whey protein powder supplement can be obtained from Amazon, GNC, and the official Transparent Labs website. Pro Jym’s whey supplement has a slightly different take on its protein formulation. Instead of pure whey, it includes a combination of protein sources. These are designed to be fast, medium and slow absorbing—theoretically allowing the body to elevate muscle protein synthesis for the longest period. 7.5 grams of whey protein isolate. Seven grams of micellar casein. 2.5 grams of egg albumin. Seven grams of milk protein isolate. Includes some whey protein isolate. Tries to extend muscle protein synthesis for the longest possible time. Beneficial for people who find 100 percent whey protein too filling. Available in large, two-pound and four-pound tubs. Has 414 mg of additional calcium for bone health. Available from numerous outlets, both online and on the high street. Not 100 percent whey protein isolate. There is little scientific evidence that fast/medium/slow protein absorption has positive muscle-building benefits. This Pro Jym protein blend can be purchased from Jym Supplement Science, Amazon, eBay, GNC, and Walmart. Syntrax has attempted to make the most potent whey isolate powder supplement on the market. This has been done by developing their patented Promina™ formula. This whey protein has been isolated without the use of heat. Thus eliminating the rough powder texture and bitter flavor that are common to many whey supplements. Formulated from 100 percent whey protein isolate. Designed to remove both the flavor and texture of protein. Contains zero calories or sugar. Available in nine novel fruit flavors. Only 23 grams of whey protein isolate per 28-gram serving. Includes artificial sweeteners—acesulfame and sucralose. The packaging appears somewhat akin to a child’s drink—not ideal for a masculine image at the gym. Nectar Whey Protein can be purchased from Amazon, Vitacost, and GNC. A hydrolyzed whey powder from respected supplement manufacturers Optimum Nutrition. Added digestive enzymes, such as amylase, lipase, and cellulase, have been included to promote faster results and improve bioavailability. A formula which uses hydrolyzed whey protein isolates. Available in large 1.5 kg tubs. Includes an additional nine grams of micronized branched-chain amino acids. 30 grams of protein per serving—the largest reviewed here. Designed from the more expensive and less tested hydrolyzed whey isolate. A large 39-gram dosage to deliver 30 grams of protein. Many additional ingredients, including maltodextrin, modified food starch, and sunflower oil. Platinum Hydrowhey is available from Optimum Nutrition, Amazon and eBay. 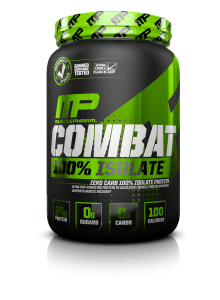 With the lowest calorie content out of all the whey powders listed here, this could be the choice for the person focusing mainly on weight loss. This supplement is available in package sizes up to 4.5 kg—useful for those with neither the time nor inclination to reorder the supplement every month. Protein content includes 100 percent whey protein isolate. Every batch is tested for banned substances—providing peace of mind, especially if you compete. The best whey protein for weight loss. Free from fat, artificial colors, fillers and dyes. Large 4.5 kg size packs available. Available in just two flavors. This MusclePharm whey protein can be bought from Amazon, iHerb, Walmart, GNC, and the official MusclePharm website. Another whey powder from Optimum Nutrition—but a quick word of caution. The packaging label states whey protein isolates, but that does not tell the full story. While it does contain some whey protein isolate, this supplement also contains concentrate. This leads it to be less effective than the 100 percent whey protein isolate powders. Does include at least some whey protein isolates. Includes four grams of glutamine to prevent muscle breakdown. Relatively cheap—due to the inclusion of whey concentrate. One of the easiest protein supplements to obtain—for sale in many outlets. Contains whey protein concentrate—less effective than pure isolates. 24 grams of protein per 31-gram serving. Includes both sugars and fat. Gold Standard 100 percent whey can be purchased from Optimum Nutrition, Amazon, eBay, GNC, Walmart, Costco, and Walgreens. This is why they form one of the most popular bodybuilding supplements — without protein, muscle cannot build. If you are serious about building muscle mass, it can be both difficult and inconvenient to achieve optimum protein loading through food alone—even more so if you’re vegetarian. Whey protein can provide the required levels to promote fast and large gains. As discussed below, not all whey protein powders can achieve this. Some may even cause fat gain. What Kind of Whey Protein Is Best? When you purchase whey protein powder, the packaging will indicate what type it includes. It’s important to understand the differences, as some are less effective than others and may even produce unwanted results. There is a lot of misinformation online and in the media regarding the best whey protein. This can lead people to become disillusioned with these products when they don’t work as expected. To make it simple, here are the scientific facts behind whey protein forms. Generally speaking, there are three main types. This is the least modified of all the forms, but don’t assume this means it is the best whey protein. Probably the only significant benefit this has over the other two is the price. As there is little to process, it keeps manufacturing costs low—making it generally the cheapest form of powder. However, being a budget supplement, in this case, means a lower quality product. This type retains much of the unwanted aspects of the milk from which it is formed. It is, therefore, the whey protein supplement with the highest fat and carbohydrate content. Unless you are looking to put on weight, this type of whey is probably best avoided, as it’s the best protein powder for weight gain. 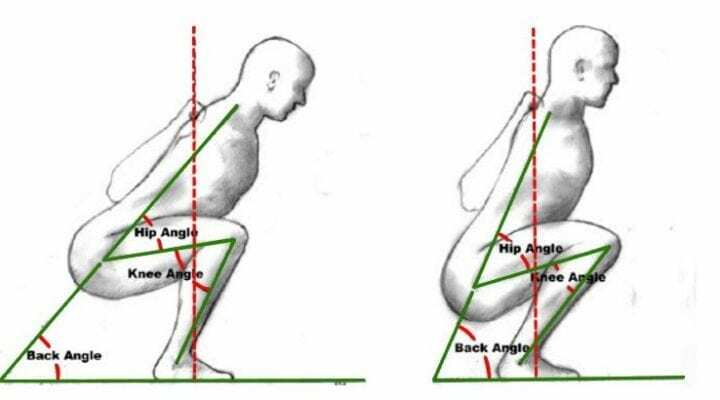 Hence, this form is not considered ideal for those looking for clean, defined muscle. Here’s the key point to remember. Generally speaking, just 80 percent of whey concentrate is protein, making it the lowest protein to volume ratio of all types. The lack of fat makes it a good choice for those looking for lean gains. There is little point working hard to build muscle only to have it hidden beneath layers of adipose tissue—body fat. As most, or in some cases all, of the lactose has been removed, it is an ideal form for those on low-carbohydrate diets. Additionally, bodybuilders who are either lactose intolerant or have issues digesting this sugar will find it beneficial. Although slightly more expensive than the concentrate form, its benefits outweigh this meager monetary difference. Sometimes known as hydrolysate or “pre-digested”, this form is the most expensive type of powder. Essentially, it has been exposed to heat and enzymes which break the amino acid bonds. This allows the proteins to be absorbed faster into the body. As whey isolate is already a rapid digesting form, there is no indication that this hydrolyzation will have any more effect on muscle gain or fat loss. As hydrolyzed whey can be made from both concentrate and isolate, its protein content tends to range from 80 to 90 percent. Overall, isolate is the best whey protein powder. While some formulations of hydrolyzed whey may possess the same benefits of isolate, they are much more expensive for the same impressive results. Why spend more? Additionally, avoid concentrate. It has less protein content, includes more fat and is difficult to digest. 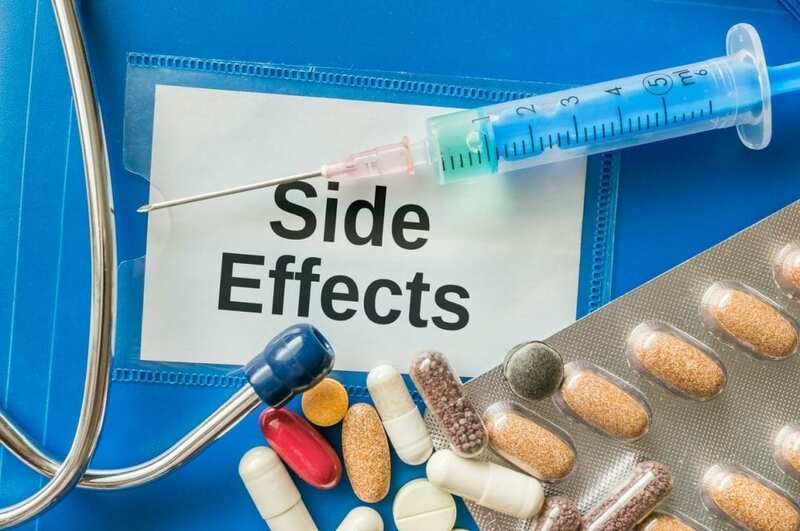 Conversely, most of the actual “side-effects” can be considered positive. If you are taking the best whey protein, there should be no adverse effects. But a little word of caution. Selecting the best whey protein possible will prevent these symptoms. The best whey protein powders are essential for the dedicated bodybuilder looking to build muscle mass and lose fat. Trying to achieve this through diet alone is both difficult and time-consuming. Always choose a protein supplement that contains nothing but 100 percent whey protein isolate—and in a quantity between 28 and 30 grams. This will ensure maximum results in the shortest possible time. The best whey protein available today is the Battle Ready Fuel Whey Protein. It packs an enormous 28 grams of whey protein isolate into a 30-gram serving—there’s no room for fillers. What’s more, this includes four grams of the ultra-powerful BCAA leucine, essential for boosting muscle protein synthesis. To achieve impressive muscle gains, with the most potent whey protein powder supplement available—head over to the Battle Ready Fuel website. Which Whey Protein Is Best for Muscle Gains? The best whey protein is the isolate form. This is because it contains more protein than concentrate, is faster acting and has a higher leucine content. Which Whey Protein Is Best for Weight Loss? Whey isolate is the best whey protein powder for weight loss. Unlike whey concentrate, it has had both the fat and carbohydrate contents removed. Both of these macronutrients factor in weight gain. Can I Drink Protein Without Working Out? You can, but unless you are severely lacking in protein, it will have few beneficial effects. These protein supplements are designed to promote muscle gain working alongside resistance training. If you are not working out, the only difference you will see is weight gain. Is Whey Protein Safe for Kidneys? Studies have shown that there are no adverse health effects on the kidneys from consuming whey protein supplements. Should I Take Whey Protein With Milk or Water? Generally, you can take whey protein powder supplements with whichever beverage you enjoy the most. But, there are a couple of considerations. Conversely, if you are cutting or preparing for competition, combine the whey protein with water to allow a decrease in your fat to muscle ratio. Is It Okay to Drink a Protein Shake Before Bed? On training days, consume within 30 minutes of finishing your workout. On off days you can opt to consume before you sleep if you wish. However, this evidence is not conclusive. How Many Scoops of Whey Protein Should I Take in a Day? Check the label on the whey supplement to see how much each scoop serving provides. Use as many scoops as required to achieve between 28 and 30 grams of protein per day. The most effective and purest supplement for muscle gains and fat loss is Battle Ready Fuel Whey Protein.